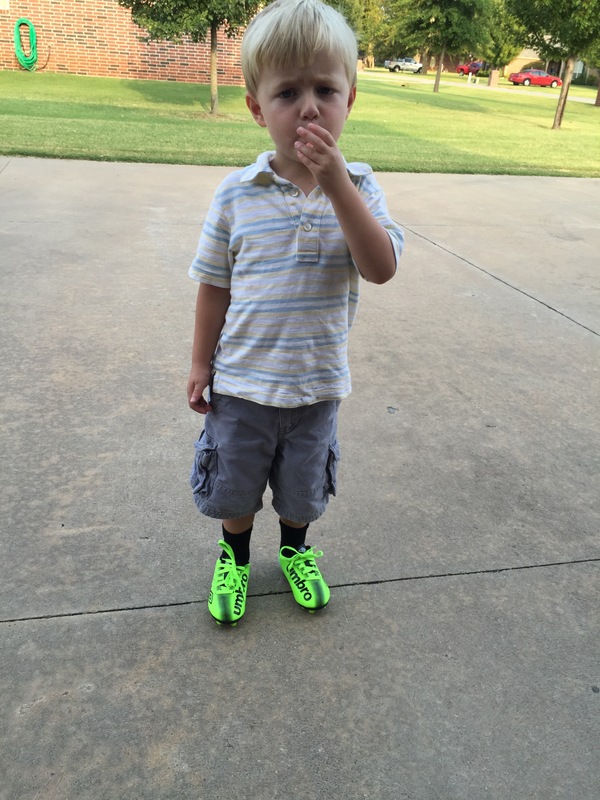 Sometimes you wear soccer shoes with your polo shirt on the driveway. And that’s okay…I think. This idea has rang true more days than not in the past few years, both with my son and with my clients. Whether it is a toy, a piece of trash, or that one piece of scope that seems the least important, we never really know what the true attachment is until something puts that in jeopardy. With Ian this could literally be anything at any given time. It purely depends on the situation, the day, if he’s hungry, or just plain fixated on it. I can’t tell you how many times I have flushed the potty before he had a chance to, or thrown away his drink thinking he was done just to incur the penalty of public meltdown. These things seem so insignificant to the rest of the world around us, but to him they are the focus of his next step and when they are interrupted the outcome is unexpected and often unpleasant. Now think about your clients and the times you or your team will make a decision based on your best practices or opinions, or even choose one communication method over another. I would venture to say if you are in the client services or even customer service business the reaction of your client or customer sometimes defies logic. They will fixate on a specific piece you feel is insignificant seemingly without reason. There will be times they can not even express their logic behind the decisions they are making. You will grow frustrated, you will try to reason your side of the logic, and you may even win out on occasion. There will inevitably be times you do not win out and you will end up redoing work, or shifting course just to right the ship and make people happy once again all at the sake of wasted time or energy fighting a battle you will never win. I don’t raise this point to offer any bit of advice other than it WILL happen. And it will continue to happen so you might as well prepare for it. You MUST prepare for it at least mentally, and be open to asking questions before jumping straight to a defensive model that can lead to growing frustration. It is often the path of least resistance to simply step back, take a deep breath, and hear the reasoning behind what is making this a point of focus. They may have a point that makes sense, and they very well may not, however at the end of the day if you are in the services profession your goal is to provide value to your customer or client. If they feel like the illogical is of value to them, and you have done your due diligence in providing the consultation you and your company believe in, then they have been provided the information they need to make the right decision. That is all you can do. If they still choose to be illogical, then so be it. You will have a great story to blog about in the future. As for how do you approach the toddler side of this…I have NO IDEA. If you do please comment because I am still searching for that one!